This novella, part II of the Anastasias Surrender Dregg Chronicles. 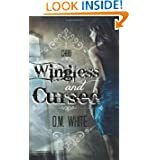 It is a horror story yet the author has created a lovable but torn character Anastasia who was dealt an unfair blow of life. She is a victim of an attack, lose her family to a bunch of murderers. She is traumatized, yet she is a warrior and now has to deal with the aftermath. The aftermath is that she was turned and craves human fresh meat. How can a sweet child, young woman feed herself fresh meat, and not be disgusted with herself. The solution to be adopted by a carnie family and become useful to them and society. She is divided between the consciousness of what is right, what is good or what is evil, as in the author's words"
"Will Anastasia give into her new self or will she fight it all the way?" 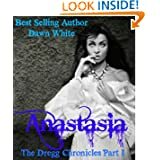 The kindle does not upload reviews; I wish I remember what I wrote, as a reader i was blown away with the first part I of the Anastasia- The Dregg Chronicles, it was a sweet treat, delicious to the end. Fast paced and suspenseful, from page one to the conclusion. Anastasia was a sweet young woman until tragedy almost destroys her life. Now the aftermath is a path of light and darkness. What will be her choices, good or bad, it will be a difficult journey to deal with, of the unfair experience she suffers through. I read this and above is the second nighttime snack part II of the series, it is a horror, fairytale and adventure all wrapped in a small package. I was hook from the first book and read the second and of course now craving more. Anastasia’s entire family had been killed by something quite un-natural. She has her own horrible obstacles to face. 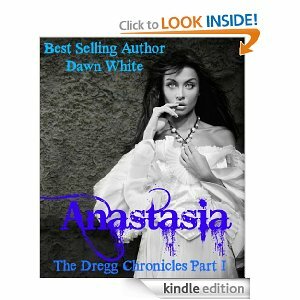 Let’s follow the journey to see what happens with Anastasia in The Dregg Chronicles. 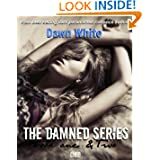 Dawn White resides in southern CA with her husband and three daughters. She has always been an avid reader and seems to live a busy life as a wife and mother. In between home schooling her children and taking care of the house she finds a few minutes at a time to write her novella series. 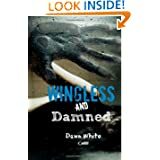 Wingless and Damned is now available! PaperbackOrder in the next 16 hours to get it byTuesday, Apr 30. PaperbackOrder in the next 16 hours to get it by Tuesday, Apr 30.